and changed IASB Belief Statements. 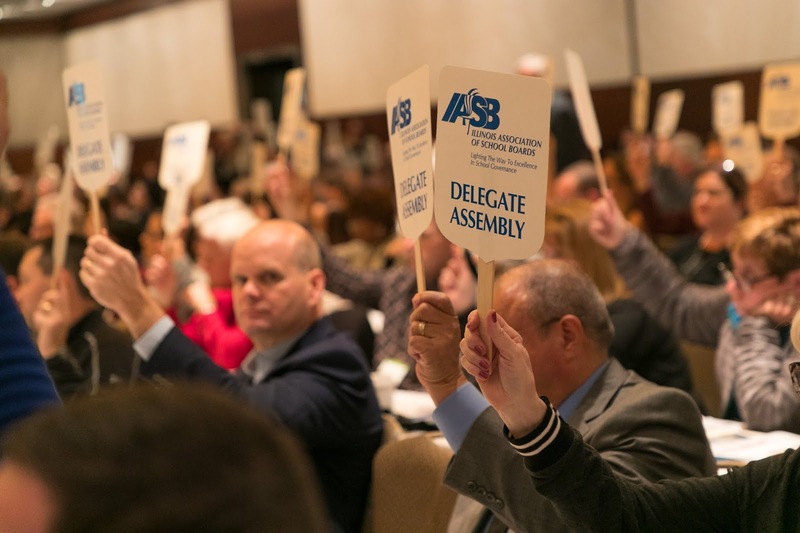 Association member districts approved one new Position Statement and added an additional Belief Statement in voting at last year’s Delegate Assembly. They also amended two previous IASB Belief Statements, with all the changes effective at the beginning of 2019. All of the additions and changes are contained in the updated IASB Position Statements and Belief Statements now available online. IASB Position Statements give member school districts the opportunity to establish Association positions on legislation and related matters of public policy. The position statements help craft legislative priorities for IASB and provide guidance on issues under consideration by the General Assembly. The Illinois Association of School Boards shall recommend to the legislature that a bill be passed that allows districts to borrow or otherwise obtain money without referendum for the sole and specific purpose of purchasing and installing energy saving equipment relating to the utility usage (water, gas and electricity). The Illinois Association of School Boards believes that schools should provide a safe and secure environment for all students and staff. Decisions of school safety drills, plans, and procedures should be made at the local level, utilizing evidence-based practices that maximize resources and effectiveness, and by soliciting input from local emergency responders resulting in fewer physical, emotional, and psychological risks to students and staff. Two Belief Statements were amended. Belief Statement 5 added language to encourage state and federal investment of comprehensive mental health resources, while Belief Statement 2 was amended to include language on the importance of student voter registration. IASB Belief Statements constitute the Association’s stance on important philosophical issues that, while not directly focused on the governance of local school districts, still represent important, worthwhile objectives. While all the new and updated Position Statements and Belief Statements are available online, member districts will also be mailed a copy of the 2019 IASB Constitution and Position Statements in January.